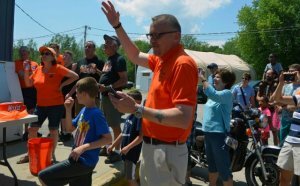 Join the contestants and crowds on Saturday, July 13, 2019. Time and location TBD. 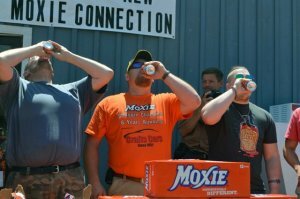 The Moxie Chugging Challenge is not for the faint of heart or esophagus. 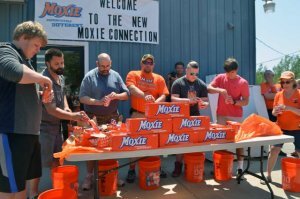 If you can’t hold your Moxie, this is not a challenge for you. Click here for Chugging Guidelines. 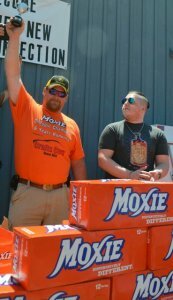 Beau Bradstreet of Bridgewater Maine won for the 7th year in a row. Seven cans in 2 minutes. Rev. Beau Wagner was the official timer, thank you Rev Wagner.